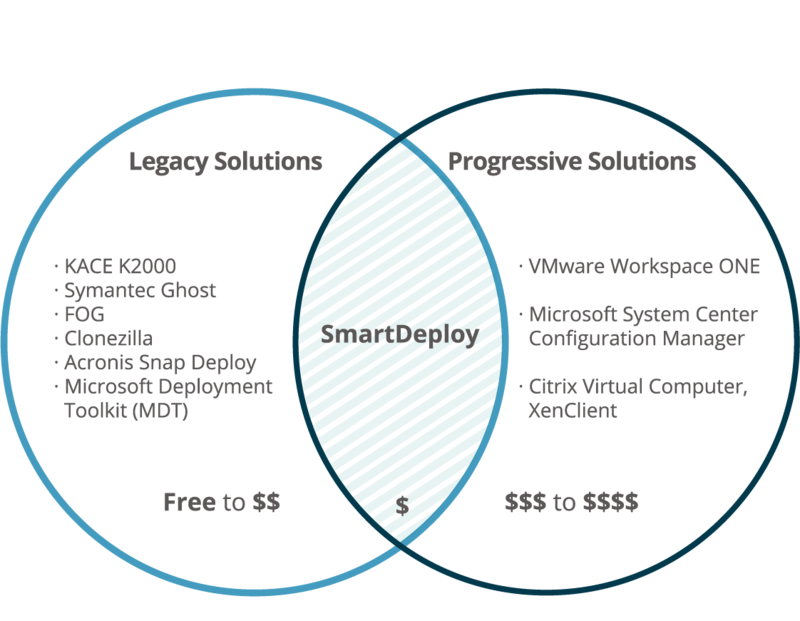 Interested in learning what SmartDeploy can do for your business? Let us show you how our intelligent solution will save you valuable IT time and resources. Let us know how to reach you and we’ll be in touch. Create and deploy one golden image to any make and model. Built-in imaging best practices to keep your team on track without costly training. Unmatched reliability and simplicity, even with the newest Windows version. We automatically handle device drivers, Sysprep, computer naming, domain joining, and more.